HOURS: Contact us today to schedule an appointment or receive a custom vacation proposal via email. Romeo Vacations possesses training direct from the College of Disney Knowledge with specialized experience booking all things Disney (Walt Disney World & Disneyland Resort, Disney Cruises, Adventures by Disney, Aulani Disney Hawaii Resort). With extensive knowledge of the Orlando vacation area, we can customize a trip that combines Disney, Universal, or other exciting area attractions. 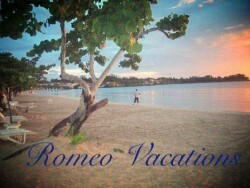 We also plan family and parents only Caribbean getaways!